City of Puebla, Mexico, was originally named "Puebla de los Angeles" (city of angels) during the Spanish colonial presence in the Americas. Today, still referred to such name when we talk about a group of outstanding women and men who contributed to Puebla's angelic fame. Puebla is also reffered as "Puebla de Zaragoza" after a general who was leading the Mexican army during Puebla's victory over the French attack to the city in May 5th, 1865 (5 de Mayo). (1605?- Jan 5,1688) known as "China Poblana". She was a young princess from Goa, India, and kidnapped by Portuguese pirates who sold her as slave in Manila, Phillipines, where she was rescued from slavery by Jesuit priest who christened with the name Catarina de San Juan. Later she was sent to Acapulco, Mexico. 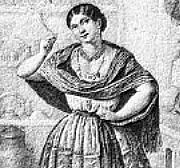 Afterwards, she arrived in Puebla for serving as a housekeeper for the Spanish Pueblan, Miguel de Sosa. When Catalina grew up, she manufactured an new style of dress which became very popular amoung free and single women: China Poblana dress, which, over time, became the national costume of Mexico. In her adult life, Catalina was released from servitude and lived a mystical life of praying. She died old and was buried with honors. (Feb 21,1579 - Jun 11,1637) who was known as Lily of Puebla “El Lirio de Puebla”. She was a mystical noun in the Convent of Immaculate Conception of Puebla. Since she was five year old had experienced mystical visions of Our Lady, Jesus and Angels, and lived the Christian virtues in a heroic way during all her life. She received different mystical gifts from Heaven and helped people to receive several miracles in their favor. She is in the process to be beatified. (Nov 10,1851 - Sep 20,1904) was a priest who started out a amazing charitable work among the orphans and poor in many Mexican cities such as Leon, Puebla, Merida and more. He was called the "Giant of Charity" because his apostolic work done in everywhere was needed by building institutes and schools to aged people, women and homeless. 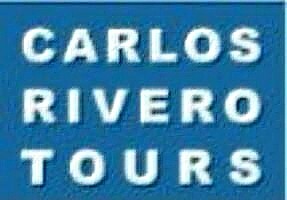 Moved his headquaters to Puebla 1889 to continue his labor and died there. He was canonized by Pope John Paul II in 2000. (Oct 22,1853 - Jan 30,1917) was the first Archbishop of Puebla (1903). Studied Theology (1877) and ordered priest in Rome (1880). 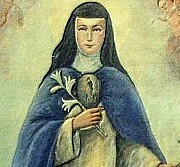 Founded several religious work as “Apostolado de la Cruz”, the Guadalupe Missionaries for native poor, children schools, built a Cathedral in Chilapa (Guerrero State), Missionaries of the Holy Spirit and the Sisters of the Cruz with another mystical Mexican lady: Concepcion Armida de Cabrera. Sponsored the foundation of girls school by the Teresiano Institute and by Brothers of La Salle Christian boy schools in Puebla. 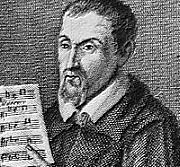 (1590- Apr 22,1664) arrives at Puebla in 1622 and became responsable for the music of Puebla Cathedral in 1629. Works of Gutierrez de Padilla had a great reputation in his time, bearing news that came to interpret his works in Guatemala and Lisbon in court Alfonso VI. The appreciation and esteem that had the value of the works of Padilla made the Cathedral Chapter twice decided to keep and save them to file in an special place in 1656 and 1663. This is significant, especially in as regards the chanzonetas and carols, 44 Latin liturgical works, among which five masses, two lamentations, a passion, motets and psalms are preserved. And most notably, their carols in Castilian, of which are conserved over sixty, including eight complete cycles of carols for Christmas matins. There are also carols for other holidays such as Corpus Christi, Immaculate Conception and Saint Laurence. (Jan 20,1502-Feb 25,1600) was one of the first citizens in that time the brand new city of Puebla de Los Angeles when he arrived in 1533. Being farmer decided to open the first transportation company in all the Americas and built the first road system in the New Spain connecting the cities and getting as far to Zacatecas in the center north Mexico. Sebastian became the richest man in Mexico and when he was 70 gave everything he possessed to the poor and became Franciscan friar. Miracles happened around his life because helped and cured a lot of people and Angels went sent to help him on the roads. 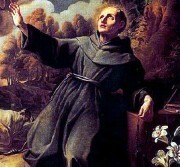 Died and buried in Puebla at San Francisco Monastery and years later was beatified (1787). He is the patron saint of the Mexican Roads. 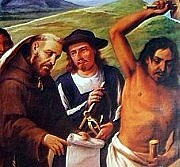 (1482-1569) named by native people as "Motolinia", that means "the poorest", and was the Franciscan founder of Puebla in April 16th, 1531. He said the first Mass to bless the settlement, traced the new city and he was an active missionary in Mexico. He wrote a book about the Aztec Culture and the Evangelization Movement done by the missionaries named "Historia de los Indios de la Nueva España" (1558) and it is an important reference book in Mexican history. (Jun 24,1600-Oct 1,1659) Juan de Palafox y Mendoza was the most famous bishop of Puebla during the Spanish Viceregal because his extensive and unmatched work. As well, he was the great reformer of justice, of the church and the administration of New Spain (colonial Mexico). In record time of nine years, from 1640 to 1649, he performed during different moments the functions of Archbishop of Mexico City, Visitor and International Observer of King Philip IV, President of the Royal Audience and Chief Commander of the Spanish army in the colony. Diplomat, poliglot, educator, refine writer and poet, lawyer, honest and effective administrator, military strategist, ascetic and discreet man. As builder, Palafox is precursor of the golden age of Puebla by building the Cathedral church, the first Tridentine seminary of the Americas, hospitals, schools and repaired thirty churches. As bishop, Palafox was protector of the Indians, sponsor of homeless & orphans, and dedicated shepherd of souls of his large diocese. As humanist, Palafox sponsored education to street orphans and natives, he promoted the continuing education of the priests in charge, open the first public library of the Americas, the Palafoxian Library "Biblioteca Palafoxiana" (1646) and was patron of arts specially music. In Mexico, was a righteous and fair judge and he did not doubt to dismiss the viceroy in turn guilty of corruption. An authentic Renaissance man. 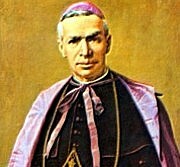 In 2011, Juan de Palafox was beatified (beato) by Pope Benedict XVI.